At the top is the U.S. Soccer Development Academy. Every MLS team and several clubs in Georgia have a U.S. Soccer Development Academy. You cannot reach this level through promotion, but players can tryout for U.S. Development Academy teams. Teams can get promoted from Classic and Athena divisions into the US Youth Soccer National League. 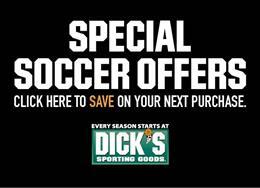 US Youth Soccer is the largest and oldest youth soccer league in the country. Georgia is in a conference with North Carolina and South Carolina, which limits travel and provides top level competition from teams from those states who have also earned the right to play in the National League. The National League also provides elite showcases for the top teams from all 50 states. The showcase National League events bring in hundreds of college coaches, pro scouts, and U.S. Soccer national team scouts. 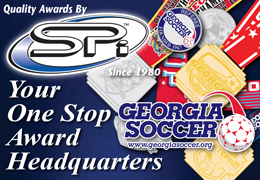 At 13U-19U Georgia Soccer offers Select Leagues. Our Classic league for boys has 5 divisions and our Athena league for girls has 4 divisions. A team can start in the lowest division and get promoted all the way to the top Classic 1 and Athena A divisions based on your play. Most of our clubs offer Academy-level play for ages 9U-12U. This provides more practice, better coaching, and more competitive games in an environment where we keep score but not records. 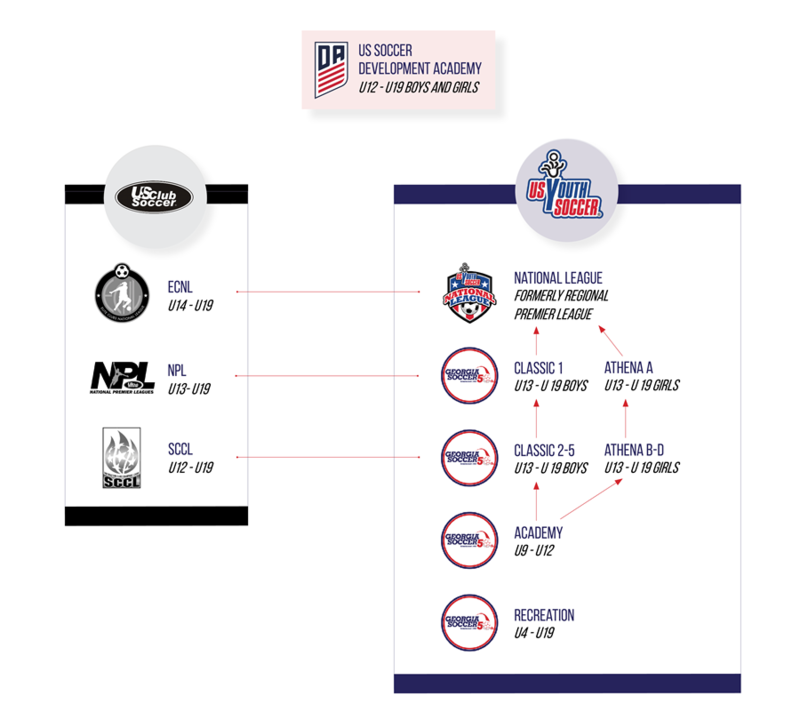 Academy focuses on player development. Almost all players start in recreational soccer; some play recreational all their lives. We have recreational programs for ages 3-80. Click here to find a club. 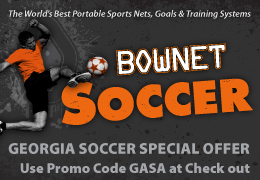 *Note: Some Georgia Soccer clubs also offer other programs such as ECNL, NPL, and SCCL. These programs do not offer promotion from one into the next, it is one team per club in each league. Most clubs who offer these programs put the top team in ECNL, the second team in NPL, and the third team in the new SCCL. The ECNL has historically had a strong girls program. The boys ECNL program is new last year and is not as strong as the girls ECNL. We have tried to provide guidance to where these programs fall compared to Georgia Soccer and US Youth Soccer programs. It is always the case that the best team from one division might be better than the last place team from another division, but we are providing this chart as a guide for parents.